Robert Heron Bork (March 1, 1927 – December 19, 2012) was an American legal scholar who advocated the judicial philosophy of originalism. Bork served as a Yale Law School professor, Solicitor General, Acting Attorney General, and a judge of the United States Court of Appeals for the District of Columbia Circuit. In 1987, President Ronald Reagan nominated him to the Supreme Court, but the Senate rejected his nomination. Bork had more acclaim as an antitrust scholar, where his once-idiosyncratic view that antitrust law should focus on maximizing consumer welfare has come to dominate American legal thinking on the subject. Bork was born in Pittsburgh, Pennsylvania. His father was Harry Philip Bork, Jr. (1897–1974), a steel company purchasing agent, and his mother was Elisabeth (née Kunkle; 1898–2004), a schoolteacher. His father was of German and Irish ancestry, while his mother was of Pennsylvania Dutch (German) descent. He was married to Claire Davidson from 1952 until 1980, when she died of cancer. They had a daughter, Ellen, and two sons, Robert and Charles. In 1982 he married Mary Ellen Pohl, a Catholic religious sister turned activist. Bork attended the Hotchkiss School in Lakeville, Connecticut and earned bachelor's and law degrees from the University of Chicago. While pursuing his bachelor's degree he became a brother of the international social fraternity of Phi Gamma Delta. While pursuing his law degree he served on Law Review. At Chicago he was awarded a Phi Beta Kappa key with his law degree in 1953 and passed the bar in Illinois that same year. After a period of service in the United States Marine Corps, Bork began as a lawyer in private practice in 1954 at Willkie Farr & Gallagher LLP in New York and then was a professor at Yale Law School from 1962 to 1975 and 1977 to 1981. Among his students during this time were Bill Clinton, Hillary Clinton, Anita Hill, Robert Reich, Jerry Brown, John R. Bolton, Samuel Issacharoff, and Cynthia Estlund. Bork was best known for his theory that the only way to reconcile the role of the judiciary in the U.S. government against what he terms the "Madisonian" or "counter-majoritarian" dilemma of the judiciary making law without popular approval is for constitutional adjudication to be guided by the framers' original understanding of the United States Constitution. Reiterating that it is a court's task to adjudicate and not to "legislate from the bench," he advocated that judges exercise restraint in deciding cases, emphasizing that the role of the courts is to frame "neutral principles" (a term borrowed from Herbert Wechsler) and not simply ad hoc pronouncements or subjective value judgments. Bork once said, "The truth is that the judge who looks outside the Constitution always looks inside himself and nowhere else." Bork built on the influential critiques of the Warren Court authored by Alexander Bickel, who criticized the Supreme Court under Earl Warren, alleging shoddy and inconsistent reasoning, undue activism, and misuse of historical materials. Bork's critique was harder-edged than Bickel's, however, and he has written, "We are increasingly governed not by law or elected representatives but by an unelected, unrepresentative, unaccountable committee of lawyers applying no will but their own." Bork's writings influenced the opinions of judges such as Associate Justice Antonin Scalia and Chief Justice William Rehnquist of the U.S. Supreme Court, and sparked a vigorous debate within legal academia about how to interpret the Constitution. Some conservatives criticized Bork's approach. Conservative scholar Harry Jaffa criticized Bork (along with Rehnquist and Scalia) for failing to adhere to natural law principles. Robert P. George explained Jaffa's critique this way: "He attacks Rehnquist and Scalia and Bork for their embrace of legal positivism that is inconsistent with the doctrine of natural rights that is embedded in the Constitution they are supposed to be interpreting." At Yale, he was best known for writing The Antitrust Paradox, a book in which he argued that consumers often benefited from corporate mergers, and that many then-current readings of the antitrust laws were economically irrational and hurt consumers. He posited that the primary focus of antitrust laws should be on consumer welfare rather than ensuring competition, as fostering competition of companies within an industry has a natural built-in tendency to allow, and even help, many poorly run companies with methodologies and practices that are both inefficient and expensive to continue in business simply for the sake of competition, to the detriment of both consumers and society. Bork's writings on antitrust law—with those of Richard Posner and other law and economics and Chicago School thinkers—were influential in causing a shift in the U.S. Supreme Court's approach to antitrust laws since the 1970s. Bork served as solicitor general in the U.S. Department of Justice from March 1973 to 1977. As solicitor general, Bork argued several high-profile cases before the Supreme Court in the 1970s, including 1974's Milliken v. Bradley, where Bork's brief in support of the State of Michigan was influential among the justices. Chief Justice Warren Burger called Bork the most effective counsel to appear before the court during his tenure. Bork hired many young attorneys as assistants who went on to have successful careers, including judges Danny Boggs and Frank H. Easterbrook as well as Robert Reich, later secretary of labor in the Clinton administration. On October 20, 1973, Solicitor General Bork was instrumental in the "Saturday Night Massacre", U.S. President Richard Nixon's firing of Watergate Special Prosecutor Archibald Cox, following Cox's request for tapes of his Oval Office conversations. Nixon initially ordered U.S. Attorney General, Elliot Richardson, to fire Cox. Richardson resigned rather than carry out the order. Richardson's top deputy, Deputy Attorney General William Ruckelshaus, also considered the order "fundamentally wrong" and also resigned, making Bork the Acting Attorney General. When Nixon reiterated his order, Bork complied and fired Cox, an act found illegal in November of that year in a suit brought by Ralph Nader. The Justice Department did not appeal the ruling, and because Cox indicated that he did not want his job back, the issue was considered resolved. Bork remained Acting Attorney General until the appointment of William B. Saxbe on January 4, 1974. In his posthumously published memoirs, Bork stated that following the firings, Nixon promised him the next seat on the Supreme Court. Nixon was unable to carry out the promise after resigning in the wake of the Watergate scandal, but eventually, in 1987, Ronald Reagan nominated Bork for the Supreme Court. Bork was a circuit judge for the United States Court of Appeals for the District of Columbia Circuit between 1982 and 1988. He was nominated by President Reagan on December 7, 1981, was confirmed with a unanimous consent voice vote by the Senate on February 8, 1982, and received his commission on February 9, 1982. One of his opinions while on the D.C. Circuit was Dronenburg v. Zech, 741 F.2d 1388, decided in 1984. This case involved James L. Dronenburg, a sailor who had been administratively discharged from the Navy for engaging in homosexual conduct. Dronenburg argued that his discharge violated his right to privacy. This argument was rejected in an opinion written by Bork and joined by Antonin Scalia, in which Bork critiqued the line of Supreme Court cases upholding a right to privacy. In rejecting Dronenburg's suggestion for a rehearing en banc, the D.C. Circuit issued four separate opinions, including one by Bork (again joined by Scalia), who wrote that "no principle had been articulated [by the Supreme Court] that enabled us to determine whether appellant's case fell within or without that principle." 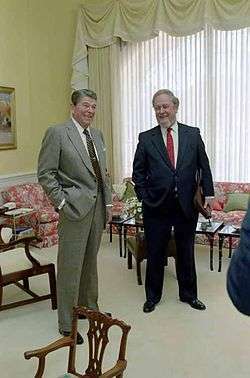 In 1986, President Reagan considered nominating Bork to the Supreme Court vacancy created by the promotion of Associate Justice William Rehnquist to Chief Justice. Reagan ultimately chose Bork's D.C. Circuit colleague, Judge Antonin Scalia, for the position. President Reagan nominated Bork for Associate Justice of the Supreme Court on July 1, 1987 to replace Lewis Powell. A hotly contested United States Senate debate over Bork's nomination ensued. Opposition was partly fueled by civil rights and women's rights groups concerned with Bork's opposition to the authority claimed by the federal government to impose standards of voting fairness upon the states (at his confirmation hearings for the position of Solicitor General, he supported the rights of Southern states to impose a poll tax), and his stated desire to roll back civil rights decisions of the Warren and Burger courts. Bork was one of only three Supreme Court nominees, along with William Rehnquist and Samuel Alito, to ever be opposed by the American Civil Liberties Union. Bork was also criticized for being an "advocate of disproportionate powers for the executive branch of Government, almost executive supremacy", most notably, according to critics, for his role in the Saturday Night Massacre. Before Supreme Court Justice Lewis Powell's expected retirement on June 27, 1987, some Senate Democrats had asked liberal leaders to "form a 'solid phalanx' of opposition" if President Ronald Reagan nominated an "ideological extremist" to replace him, assuming it would tilt the court rightward. Democrats also warned Reagan there would be a fight if Bork were nominated. Nevertheless, Reagan nominated Bork for the seat on July 1, 1987. Robert Bork's America is a land in which women would be forced into back-alley abortions, blacks would sit at segregated lunch counters, rogue police could break down citizens' doors in midnight raids, schoolchildren could not be taught about evolution, writers and artists could be censored at the whim of the Government, and the doors of the Federal courts would be shut on the fingers of millions of citizens for whom the judiciary is—and is often the only—protector of the individual rights that are the heart of our democracy ... President Reagan is still our president. But he should not be able to reach out from the muck of Irangate, reach into the muck of Watergate and impose his reactionary vision of the Constitution on the Supreme Court and the next generation of Americans. No justice would be better than this injustice. Bork responded, "There was not a line in that speech that was accurate." In an obituary of Kennedy, The Economist remarked that Bork may well have been correct, "but it worked." Bork also contended in his best-selling book, The Tempting of America, that the brief prepared for Sen. Joe Biden, head of the Senate Judiciary Committee, "so thoroughly misrepresented a plain record that it easily qualifies as world class in the category of scurrility." Television advertisements produced by People For the American Way and narrated by Gregory Peck attacked Bork as an extremist. Kennedy's speech successfully fueled widespread public skepticism of Bork's nomination. The rapid response to Kennedy's "Robert Bork's America" speech stunned the Reagan White House, and the accusations went unanswered for two and a half months. During debate over his nomination, Bork's video rental history was leaked to the press. His video rental history was unremarkable, and included such harmless titles as A Day at the Races, Ruthless People, and The Man Who Knew Too Much. Writer Michael Dolan, who obtained a copy of the hand-written list of rentals, wrote about it for the Washington City Paper. Dolan justified accessing the list on the ground that Bork himself had stated that Americans only had such privacy rights as afforded them by direct legislation. The incident led to the enactment of the 1988 Video Privacy Protection Act. To pro-choice rights legal groups, Bork's originalist views and his belief that the Constitution does not contain a general "right to privacy" were viewed as a clear signal that, should he become a Justice on the Supreme Court, he would vote to reverse the Court's 1973 decision in Roe v. Wade. Accordingly, a large number of groups mobilized to press for Bork's rejection, and the resulting 1987 Senate confirmation hearings became an intensely partisan battle. On October 23, 1987, the Senate denied Bork's confirmation, with 42 Senators voting in favor and 58 voting against. Two Democratic Senators, David Boren (D-OK) and Ernest Hollings (D-SC), voted in his favor, with 6 Republican Senators (John Chafee (R-RI), Bob Packwood (R-OR), Arlen Specter (R-PA), Robert Stafford (R-VT), John Warner (R-VA), and Lowell P. Weicker, Jr. (R-CT)) voting against him. The vacant court seat Bork was nominated to eventually went to Judge Anthony Kennedy, who was unanimously approved by the Senate, 97-0. Bork, unhappy with his treatment in the nomination process, resigned his appellate-court judgeship in 1988. According to columnist William Safire, the first published use of bork as a verb was possibly in The Atlanta Journal-Constitution of August 20, 1987. Safire defines to bork by reference "to the way Democrats savaged Ronald Reagan's nominee, the Appeals Court judge Robert H. Bork, the year before." Perhaps the best known use of the verb to bork occurred in July 1991 at a conference of the National Organization for Women in New York City. Feminist Florynce Kennedy addressed the conference on the importance of defeating the nomination of Clarence Thomas to the U.S. Supreme Court, saying, "We're going to bork him. We're going to kill him politically ... This little creep, where did he come from?" Thomas was subsequently confirmed after one of the most divisive confirmation hearings in Supreme Court history. In March 2002, the Oxford English Dictionary added an entry for the verb bork as U.S. political slang, with this definition: "To defame or vilify (a person) systematically, esp. in the mass media, usually with the aim of preventing his or her appointment to public office; to obstruct or thwart (a person) in this way." There was an earlier usage of bork as a passive verb, common among litigators in the D.C. Circuit: to "get borked" was to receive a conservative judicial decision with no justification in the law, reflecting their perception, later documented in the Cardozo Law Review, of Judge Bork's tendency to decide cases solely according to his ideology. Following his failure to be confirmed, Bork resigned his seat on the U.S. Court of Appeals for the D.C. Circuit and was for several years both a professor at George Mason University School of Law and a senior fellow at the American Enterprise Institute for Public Policy Research, a Washington, D.C., based think tank. Bork also consulted for Netscape in the Microsoft litigation. Bork was a fellow at the Hudson Institute. He later served as a visiting professor at the University of Richmond School of Law and was a professor at Ave Maria School of Law in Ann Arbor, Michigan. In 2011, Bork worked as a legal adviser for the presidential campaign of Republican Mitt Romney. Bork wrote several books, including the two best-sellers The Tempting of America, about his judicial philosophy and his nomination battle, and Slouching Towards Gomorrah: Modern Liberalism and American Decline, in which he argued that the rise of the New Left in the 1960s in the U.S. undermined the moral standards necessary for civil society, and spawned a generation of intellectuals who oppose Western civilization. Curiously, during the period these books were written, as well as most of his adult life, Bork was an agnostic, a fact used pejoratively behind the scenes by southern Democrats when speaking to their evangelical constituents during his Supreme Court nomination process. In 1999, Bork wrote an essay about Thomas More and attacked jury nullification as a "pernicious practice". Bork once quoted More in summarizing his judicial philosophy. In 2003, he published Coercing Virtue: The Worldwide Rule Of Judges, an American Enterprise Institute book that includes Bork's philosophical objections to the phenomenon of incorporating international ethical and legal guidelines into the fabric of domestic law. In particular, he focuses on problems he sees as inherent in the federal judiciary of three nations, Israel, Canada, and the United States—countries where he believes courts have exceeded their discretionary powers, and have discarded precedent and common law, and in their place substituted their own liberal judgment. Bork also advocated modifying the Constitution to allow Congressional super-majorities to override Supreme Court decisions, similar to the Canadian notwithstanding clause. Though Bork had many liberal critics, some of his arguments have earned criticism from conservatives as well. Although an opponent of gun control, Bork denounced what he called the "NRA view" of the Second Amendment, something he described as the "belief that the constitution guarantees a right to Teflon-coated bullets." Instead, he argued that the Second Amendment merely guarantees a right to participate in a government militia. Bork converted to Catholicism in 2003. In October 2005, Bork publicly criticized the nomination of Harriet Miers to the Supreme Court. On June 6, 2007, Bork filed suit in federal court in New York City against the Yale Club over an incident that had occurred a year earlier. Bork alleged that, while trying to reach the dais to speak at an event, he fell, because of the Yale Club's failure to provide any steps or handrail between the floor and the dais. (After his fall, he successfully climbed to the dais and delivered his speech.) According to the complaint, Bork's injuries required surgery, immobilized him for months, forced him to use a cane, and left him with a limp. In May 2008, Bork and the Yale Club reached a confidential, out-of-court settlement. On June 7, 2007, Bork with several others authored an amicus brief on behalf of Scooter Libby arguing that there was a substantial constitutional question regarding the appointment of the prosecutor in the case, reviving the debate that had previously resulted in the Morrison v. Olson decision. On December 15, 2007, Bork endorsed Mitt Romney for President. He repeated this endorsement on August 2, 2011. A 2008 issue of the Harvard Journal of Law and Public Policy collected essays in tribute to Bork. Authors included Frank H. Easterbrook, George Priest, and Douglas Ginsburg. Bork died of complications from heart disease at the Virginia Hospital Center in Arlington, Virginia, on December 19, 2012. Following his death, Scalia referred to Bork as "one of the most influential legal scholars of the past 50 years" and "a good man and a loyal citizen." Mike Lee, Senator from Utah, called Bork "one of America's greatest jurists and a brilliant legal mind." The look of the character Judge Roy Snyder on The Simpsons is modeled on Robert Bork. Bork, Robert H. (1971). "Neutral Principles and Some First Amendment Problems". Ind. L. J. 47: 1. This paper has been identified as one of the most cited legal articles of all time. Bork, Robert H. (1978). The Antitrust Paradox. New York: Free Press. ISBN 0-465-00369-9. Bork, Robert H. (1993). The Antitrust Paradox (second edition). New York: Free Press. ISBN 0-02-904456-1. 1 2 Ethan Bronner (December 19, 2012). "Robert H. Bork, Conservative Jurist, Dies at 85". The New York Times. Retrieved December 17, 2012. Robert H. Bork, a former solicitor general, federal judge and conservative legal theorist whose 1987 nomination to the United States Supreme Court was rejected by the Senate in a historic political battle whose impact is still being felt, died on Wednesday in Arlington, Va. He was 85. His death, of complications of heart disease, was confirmed by his son Robert H. Bork Jr.
↑ "Paid Notice: Deaths Bork, Elizabeth Kunkle". The New York Times. January 18, 2004. Archived from the original on May 24, 2013. ↑ The Americana Annual, 1988: An Encyclopedia of the Events of 1987; Yearbook ... February 1, 1989. Retrieved December 20, 2012. ↑ Beckwith, David (September 21, 1987). "A Long and Winding Odyssey". Time. Retrieved March 20, 2009. ↑ "Former Solicitor General Robert Bork Dies". ↑ "Special Counsel Investigation". Washington Journal. C-SPAN. August 11, 1998. ↑ Frey, Jennifer (2005). "Introducing Samuel Issacharoff". The Law School Magazine. Archived from the original on 2011-05-01. Retrieved December 20, 2012. ↑ Dennis J. Goldford (2005). The American Constitution and the Debate Over Originalism. Cambridge University Press. p. 174. ISBN 978-0-521-84558-8. Retrieved October 26, 2008. 1 2 Linstrum, Erik (September 30, 2003). "Political scholar Jaffa defends moral foundation of government". The Daily Princetonian. Archived from the original on 2009-06-05. Retrieved December 11, 2010. ↑ Gerhart, Peter M. (1982). "The Supreme Court and Antitrust Analysis: The (Near) Triumph of the Chicago School". The Supreme Court Review. 1982: 319–349. JSTOR 3109560. ↑ Fox, Eleanor M. (1987). "The Battle for the Soul of Antitrust". California Law Review. 75 (3): 917–923. doi:10.2307/3480656. JSTOR 3480656. ↑ "Nixon's Men: All Work and No Frills; President's Men: All Work and No Frills", The New York Times. March 21, 1973. 1 2 3 Noble, Kenneth B. (July 26, 1987). "New Views Emerge of Bork's Role in Watergate Dismissals". The New York Times. Archived from the original on 2015-05-24. Retrieved June 4, 2012. ↑ "William Bart Saxbe". 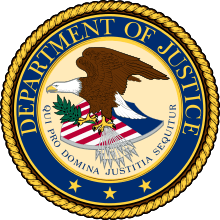 The United States Department of Justice. Archived from the original on 2010-04-07. ↑ "Bork: Nixon Offered Next High Court Vacancy in '73". Yahoo News. ABC News. February 25, 2013. Archived from the original on 2013-03-01. ↑ "PN891 — Robert H. Bork — The Judiciary". Retrieved February 15, 2016. 1 2 DRONENBURG v. ZECH , 741 F.2d 1388 (D.C. Cir. August 17, 1984). ↑ DRONENBURG v. ZECH , 746 F.2d 1579 (D.C. Cir. November 15, 1984). ↑ Buchanan, John H.; Kropp, Arthur J. (October 23, 1987). "Bork Hearings Showed How Democracy Works; A Very Small Poll Tax". The New York Times. Retrieved December 20, 2012. ↑ "ACLU Opposes Nomination of Judge Alito". American Civil Liberties Union. Archived from the original on April 6, 2007. Retrieved August 17, 2007. ↑ Fuerbringer, Jonathan (June 30, 1987). "Byrd Says Bork Nomination Would Face Senate Trouble". New York Times. Retrieved February 14, 2016. ↑ Manuel Miranda (August 24, 2005). "The Original Borking". The Wall Street Journal. Archived from the original on 2005-10-28. Retrieved August 10, 2007. ↑ Broder, John M. (August 27, 2009). "Edward M. Kennedy, Senate Stalwart, Is Dead at 77". The New York Times. Archived from the original on 2015-01-05. Retrieved April 10, 2010. 1 2 "A hell of a senator". The Economist. August 29, 2009. Archived from the original on 2009-08-30. ↑ "Robert H. Bork". Harper Collins. Retrieved October 26, 2008. ↑ Damon W. Root (September 9, 2008). "Straight Talk Slowdown". Reason. Retrieved October 26, 2008. ↑ Gail Russell Chaddock (July 7, 2005). "Court nominees will trigger rapid response". The Christian Science Monitor. Retrieved August 10, 2007. ↑ "The Bork Tapes Saga". The American Porch. Retrieved August 17, 2007. ↑ "Video Privacy Protection Act". ↑ Greenhouse, Linda. Becoming Justice Blackmun. Times Books. 2005. Page 189. 1 2 "Judge Robert H. Bork, conservative icon, dies at 85". The Washington Post. December 19, 2012. ↑ Safire, William (May 27, 2001). "On Language: The End of Minority". New York Times Magazine. p. 12. Document ID 383739671, ProQuest Historical Newspapers The New York Times (1851–2004) database. judge fights 'borking' needed to stop court packing? ↑ John Fund (January 8, 2001). "The Borking Begins". The Wall Street Journal. Retrieved August 17, 2007. ↑ "History Timeline - Ave Maria School of Law". Ave Maria School of Law. Retrieved 2016-03-11. ↑ Grove, Lloyd (October 17, 2011). "Robert Bork's Romney Connection". Newsweek. Archived from the original on 2011-11-03. Retrieved December 20, 2012. ↑ "Thomas More for Our Season". Leadership U. Retrieved August 17, 2007. ↑ "Regula Pro Lege, Si Deficit Lex: The Latin Sapience of High Judges". The Federal Bar Association. Retrieved November 17, 2016. ↑ "Slouching Towards Gomorrah: Modern Liberalism and American Decline". The Mises Review. Archived from the original on 2012-08-25. Retrieved January 1, 2008. ↑ Life Magazine, Vol 14, No. 13. ↑ "Judge Bork Converts to the Catholic Faith". National Catholic Register. Archived from the original on 2003-10-04. Retrieved August 17, 2007. ↑ "Bush says Miers has experience, leadership". The Mercury News. Archived from the original on October 28, 2005. Retrieved August 17, 2007. ↑ Robert H. Bork, "Slouching Towards Miers", Wall Street Journal, October 19, 2005, p. A12. ↑ "Robert Bork Cites 'Wanton' Negligence in Suing Yale Club for $1-Million". The Chronicle of Higher Education. Retrieved August 17, 2007. ↑ "Robert H. Bork v. The Yale Club of New York City" (PDF). United States Court Southern District of New York. Retrieved August 17, 2007. ↑ Zambito, Thomas (May 9, 2008). "Supreme nominee Bork settles Yale suit". Daily News. New York. Archived from the original on 2008-05-12. Retrieved June 20, 2010. ↑ "United States of America v. Lewis Libby" (PDF). United States District Court for the District of Columbia. Retrieved August 17, 2007. ↑ Memmott, Mark (December 19, 2012). "Robert Bork, Who Was Turned Down For Supreme Court, Dies". NPR. Retrieved December 20, 2012. ↑ Mears, Bill (December 19, 2012). "Robert Bork, known for contentious Supreme Court nomination, dies at 85". CNN. Retrieved December 20, 2012. ↑ Grove, Lloyd (October 17, 2011). "Robert Bork on Obama, the Supreme Court, Nixon & Being Mitt Romney's Adviser". Newsweek. ↑ Shapiro, Fred R.; Pearse, Michelle (2012). "The Most-Cited Law Review Articles of All Time". Mich. L. Rev. 110: 1483–1520. Bronner, Ethan (2007). Battle for Justice: How the Bork Nomination Shook America. New York, New York, United States: Sterling. ISBN 1-4027-5227-X. Vile, John R. (2003). Great American Judges: An Encyclopedia. Santa Barbara, California, United States: ABC-CLIO. ISBN 1-57607-989-9. Look up bork in Wiktionary, the free dictionary. Wikimedia Commons has media related to Robert Bork. 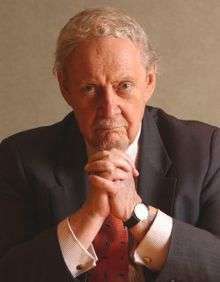 Robert Bork at the Biographical Directory of Federal Judges, a public domain publication of the Federal Judicial Center. Booknotes interview with Bork on Slouching Toward Gomorrah, December 4, 1996. Bork, Robert H. (1996) Our Judicial Oligarchy . 1996 First Things November .